Boils (or furuncles) are bacterial or fungal infections of hair follicles. When a hair follicle is infected, the skin around it becomes inflamed, turning red and becoming raised on your skin. The boil may also rupture and leak fluid. 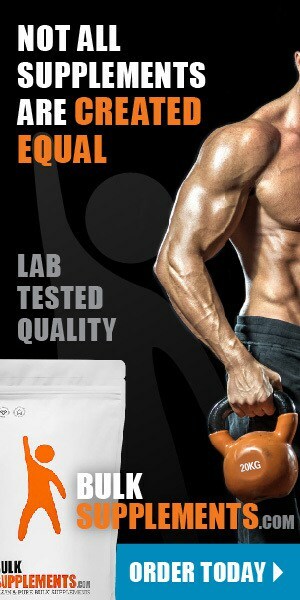 Boils commonly occur on the face and neck but can also develop on your thighs, buttocks and other areas of the body [x]. 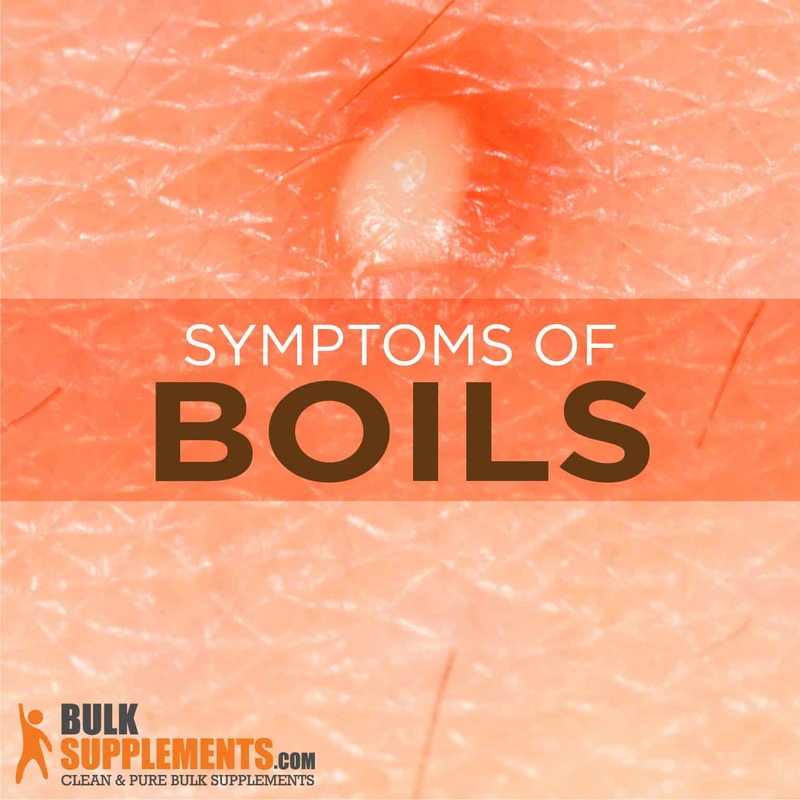 When they first develop, boils may look like pimples but harden and become painful as the infection worsens. Under the skin, bacteria and dead skin cells can build up and form pus. This then creates pressure and may cause the boil to burst and release the fluids. Normally, the pain is at its worst the night before the boil bursts. But once the boil bursts, the pain will subside. Boils can range in size from as small as a pea or a pimple to as big as a golf ball. The skin around the area may become red and swollen, and may scar when the boil has been removed or bursts on its own. Cysts are commonly confused with boils, although they are two different conditions. Cysts can appear anywhere on the body under the skin, aside from the palms of the hands and soles of the feet. Like boils, they vary in size. However, they grow much slower than boils, are not painful (unless they burst under the skin), and are smooth to the touch. Unlike boils, bacterial or fungal infections do not form cysts. Instead, they commonly form after an injury to the body, and will occasionally disappear on their own without treatment. However, if the cysts are large enough, a doctor will sometimes recommend surgically removing them. Any bacteria or fungi can cause a boil. The most common of these is Staphylococcus aureus, which is why boils are sometimes called staph infections. Bacteria can only cause infection if they enter your bloodstream through an open wound. Once the bacteria is in your blood, your immune system will try to fight it off, resulting in a boil as your white blood cells work to eliminate it. If your immune system is weak or compromised, you are more likely to develop a boil. Chronic conditions like diabetes and eczema can also increase your risk of getting a staph infection. These conditions make the skin very dry and itchy, on top of weakening the immune system. If your immune system is strong and you are relatively healthy, a boil will go away on its own after roughly two weeks. Therefore, the most natural way to treat a boil is to leave it alone and let it heal itself on its own. However, some boils are so severe that they require antibiotic treatment. If you have a boil, don’t use harsh antibacterial soaps to wash it. Antibacterial soap can actually irritate the infected area even more and prevent your skin’s natural oils from healing the infection. Instead, try to wash the area three to four times a day with gentle soap and water and apply a warm compress for at least 20 minutes. Once the boil starts to open up and drain on its own, continue using the warm compress for three to four days and wash the area with soap or a natural antibacterial like tea tree oil. Belladonna is a natural herb that may treat the early stages of inflammation before pus begins to form. To avoid any side effects, always adhere to the recommended dosage of any herbal treatments. Cutting out sugar is very important in helping to prevent and treat boils. This is because consuming a diet high in sugar can weaken your immune system and even feed the bad bacteria in your gut, making it harder for the good bacteria to fight off infection. Contact your doctor if your boil won’t rupture, or if you’re in severe pain, as you may need antibiotics to clear the infection. Your doctor may also decide to manually drain the boil with sterile instruments. Do not squeeze, prick, or cut the boil to try to drain it. This can increase your risk of deeper infection and scarring. With proper treatment, boils can be managed safely and prevented. Cleaning up your diet, practicing good hygiene, and even trying natural supplements can help aid in the healing process. If boils persist worsen, make sure to contact your doctor for medical attention.